Like most things in life, you get out of Bridge what you put into it. In fact, if you pay attention, you will find Bridge is a microcosm of life. We can apply lessons learned at the table to family, friends, and business. Mark McCormick’s What They Don't Teach You at Harvard Business School: Notes from a Street-Smart Executive describes how competitive games allow one to learn about themselves and others. In Mark’s case, he provides a first-hand experience witnessing the character of a former United States President. Sometime before Richard Nixon became President, Mark recalls having concerns about his trust and integrity after a friendly game of golf. At the Bridge table, we also get a chance to learn about others. If we are observant, we will develop insights into the character and playing abilities of others. Better yet, we can gain insights about ourselves, who we are, and learn how to cope with challenging situations. Best, we can try different techniques to help us get where we want to go. When we are young, we are easily impressed by outward factors – money, power, and glamour. As we mature, we appreciate the importance of character and inner qualities beyond the initial glitter and realize the best things in life are within. Attentive Bridge players will attest to the parallel. After some initial calisthenics warming up with the mechanics of the game, we will discuss the psychological side of the game. The prerequisite to becoming a Street Smart Bridge Player is developing one’s technical prowess. While technical details are well beyond the scope of this series of articles, we should acknowledge them here. Fundamental prerequisites begin with sound hand evaluation, awareness of environmental factors, sensitivity to odds and statistics (also see books). For instance, while high card point and distribution points are useful, losing trick count and cover card hand evaluation generates a more accurate assessment to accurately bid games and slams. Similarly, careful attention to the Bridge ecosystem (environmental factors) is beneficial, including topics such as aggregate vulnerability and relative seat position in competitive auctions. While not purely a technical attribute, a partnership should also be cognizant of variances in their Bridge skills vis-à-vis the competition. While a partnership may not prevail against superior opponents over the long term, a pair may score using different methods in the short term, particularly in a team event. Any bidding system has inherent advantages in certain areas – for instance, playing a weak or strong opening Notrump range may affect bidding and play (interference and right/wrong-siding the contract during play). Similarly, knowing when to compete is a critical element of Bridge, affecting lead direction, sacrifice opportunities, potentially pushing opponents to a makeable contract, needlessly tipping off the declarer of marked finesses. 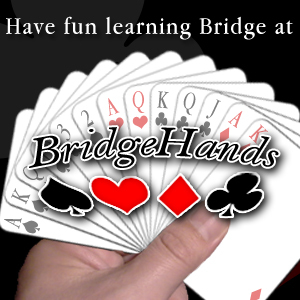 Actually, Bridge judgment is a broad area – some players seem born with a logical mind while the rest of us learn the tricks of the trade through the “school of hard knocks.” Perhaps you have an inherent sense of how to best play a hand without knowing all the various odds – lucky you. The serious students of the game find themselves digging into card (suit) combinations as well as a -priori and posteriori odds. Let’s gloss over the play side of the game, another critical element for the Street Smart Bridge Player. Early in our Bridge career we mastered ruffing and cross-ruffing, finesses (see books) and promotion plays, paying careful attention to transportation, unblocking and associated entry management. Then we delved into more advanced topics including avoidance and discovery plays, backward finesses, endplays, loser on loser plays, “rules of 1-2-3, etc” guidelines, safety plays (see books), strip and endplays, throw-in plays, etc. Eventually, the Street Smart Bridge Player studies the heavy-duty techniques including coups (see books), deceptive plays, elopement (en passant), elimination play, gambits, restricted choices, smother plays, and squeezes (see books). And as defenders, we learned how leads were not only predicated on bidding but on bidding subtleties as well. As play ensues, defenders employ a wide variety of methods including attitude, count, and suit preference signaling (see books on signals and leads). Undoubtedly the psychology of Bridge (see books ) is always on the mind of the Street Smart Bridge Player and has been since the inception of Bridge. In 1936, when the legendary Ely Culbertson wrote “The New Gold Book of Bidding and Play,” he discussed various psychological tactics including concealing weakness, trapping maneuvers, deceptive bidding, playing partner’s game and understanding the opponents’ psychology; recall in our Issue #5, we discussed psyches were big in those days although not formally advocated by Ely. In his earlier “Contract Bridge Red Book on Play,” he also focused on the tactical side of psyches discussing how psychological bluffs can influence the finesse, pseudo squeezes, false cards and the like. The father of the slam, Easley Blackwood penned “Bridge Humanics.” Easley began his book emphasizing the positive, “you are better than you think!” For instance, he advocated making understandable bids easily understood by partner instead of the most technically astute bid – ditto on play, ergo understanding players is as important as understanding bidding and play. Does this topic sound familiar? In 1946, S. J. Simon's authored everyone’s favorite “Why You Lose at Bridge,” advising the mortal Bridge player to keep bidding simple by following the direct route whenever possible. Do not instruct your partner and avoid becoming the proverbial unlucky expert. The unlucky expert loses his shirt because he always tries for the best result possible, where the true professional accepts the best possible result (i.e., the pragmatist). In 1960, Fred Karpin devoted an entire book to the mind-game titled “Psychological Strategy in Contract Bridge.” Fred digs into the necessity for deceptive and obstructionist bidding and play, with numerous examples from championship play including the ascendancy of Charles Goren. 1. Do not give lessons, unless you are being paid to do so. “According to an evening paper, there are only five real authorities on bridge in this country. Odd how often one gets one of them as a partner.” Punch (British magazine). 2. Never say anything to your partner unless you would want him to say the same to you. If you are unsure whether your partner would want you to say something, don’t. 3. Never “result” (criticize your partner for a normal action just because it did not work this time). 4. Unless your intent is to clear up a misunderstanding, avoid discussing the hand just played. If you cannot resist, be discreet. 5. Remember that you and your partner are on the same side. 6. Do not forget that your partner wants to win as much as you do. 7. If you feel the urge to be nasty, sarcastic, critical or loud — excuse yourself and take a walk. 8. When there is time between hands, do not discuss bridge. 9. When you want to consult another player about a disaster, ask about your hand, not your partner's. 10. Do not ever criticize or embarrass your partner in front of others. 11. Remember that bridge is only a card game. 12. Have a good time, and make sure that your partner does also. “Bridge is for fun. You should play the game for no other reason. You should not play bridge to make money, to show how smart you are, or show how stupid your partner is . . . to prove any of the several hundred other things bridge players are so often trying to prove.” Bridge legend Charles Goren. 13. Trust your partner; do not assume that he has made a mistake. 14. Although it may be unfashionable, it really is okay to be pleasant to a partner with whom you also happen to live. 15. Remember: “The worst analysts and the biggest talkers are often one and the same.” Bridge columnist Frank Stewart. Think twice before verbally analyzing a hand. Do not embarrass yourself with a hasty, inaccurate comment. 16. When you voluntarily choose to play bridge with someone, it is not fair to get upset when partner does not play any better than usual. 17. Never side with an opponent against your partner. If you cannot support your partner, say nothing. 18. If you think you are too good for a partner, and do not enjoy playing bridge with him, do everyone a favor and play with someone else. That is clearly much better than being a martyr. However, be careful before burning bridges — another player's grass may not be greener. 19. Learn your partner's style, regardless of how you feel about it. Do not expect your partner to bid exactly as you would. When partner makes a bid, consider what he will have, not what you would. 20. Try to picture problems from partner's point of view. Seek the bid or play that will make his life easiest. 21. Sympathize with partner if he makes a mistake. Let your partner know that you like him, and always root for him 100%. Earlier we mentioned the technical aspects of environmental factors, however psychological considerations also influence the Bridge ecosystem. Emotional elements that affect a player's bidding and play include: cumulative score, partnership trust, discipline and reliability, "mastermind bidding" (making a unilateral call), concentration, emotional compatibility, memory (short and long term), "stock market" mentality (fear and greed), "catch-up" syndrome (trying to retaliate or recover after a bad hand, and risk taking/adversity. We invite you to check out Bridge book on the psychological side of Bridge. In our next eMag Newsletter issue we will begin covering practical steps worthy of consideration by the Street Smart Bridge Player – especially the human side of the game. We are looking for contributions so please send us your favorite street-smart tips and tricks. For better or worse, we will also take a look at the “dark side of the force,” so feel free to include those antics involving shenanigans and skullduggery! Most of us have interesting personal stories where the director’s interpretation of the Laws is, shall we say, “intriguing?” The wise person realizes that those who ignore history are doomed to repeat it, so BridgeHands always posts the tourney results, bulletins, and appeals. Of the 18 appeals at the recent Chicago NABC tourney, 10 centered on Unauthorized Information (9 dealing with tempo issues) and 5 focused on Misinformation. In this issue, let’s try to get inside the head of the Bridge “Supreme Court” – the NABC Appeals Committee. Non-NABC Case 3 – On trick 6, the declarer calls for a card from dummy and begins facing a card from her hand, momentarily facing the card to within 3-4 inches of the table and immediately withdraws the card. Is the momentarily faced card considered played? As we have discussed in our eMag Newsletter #2, Law 45C2 reads, “Declarer must play a card from his hand held face up, touching or nearly touching the table . . .” Similar to last year's Pittsburg Spring 2005 NABC ruling, the Appeals Committee reinforced that declarer’s momentarily faced card at 4 inches is not considered a played card. In fact, the committee was not sympathetic to the appealing opponents, issuing them an Appeal Without Merit Warning. Okay then, how about the situation when the declarer changes the call to the dummy from “ruff” to “overruff?” In Non-NABC Case #10, the declarer led a non-trump from hand, which the left hand opponent trumped with the five. The dummy held the trump Ace and the three and the declarer initially said “ruff”, quickly followed by the word “overruff” with a slight pause between the designations. The director cited Law 45C4(a), thus the statement “Ruff” was not inadvertent so the lowly trump three was deemed played by the dummy. At the appeal, the declarer felt his intentions were clear enough, that he misspoke saying “ruff” and that the subsequent “overruff” statement was not attributable to a different thought process. The Appeal Committee cited the ACBL’s policy statement dated 12/2003 regarding law 45C4 (see page 41): “Directors should be alert to situations involving inadvertency or declarer thinking ahead. To deem a called card from dummy as inadvertent, the change of call must be the result solely of a slip of the tongue – not a momentary mental lapse.” So with the possibility that the declarer had a mental lapse and that the declarer needed two ruff to make the contract, the committee upheld the director’s ruling that the trump three was indeed a played card. In our “facts are stranger than fiction” department, let’s take a look at a bizarre appeal. On Non-NABC Case #11, Grand Life Master faced her 6 remaining cards, making a claim discussing her winning Clubs, but then retracted the faced cards and attempted to resume play. And the director ruling is (drum roll please). . .
For reasons unclear to BridgeHands, the director judged that a claim wasn’t made in accordance with Law 68A – i.e. declarer did not demonstrably intend to claim. One might conjecture why the director chose to consult another director before rendering a ruling. Nonetheless, the director returned to the table, deemed no claim was made and instructed the players to continue play. The Appeal Committee concluded that in accordance with law 68A, a claim had occurred. Law 68 defines a claim as any (found to be a strong explicit word) statement to the effect that a contestant will win a specific number of tricks. In addition, the declarer showed his remaining cards by holding them face up. There is more wording in law 68A that reads: . . . or when he (the claimer) shows his cards. The panel discussed the parenthetical statement in law 68A “unless he demonstrably did not intend to claim.” It was judged that declarer had shown intent and only upon realizing that the claim was incorrect changed her mind. The panel was unanimous in deciding a claim had been made. The panel thought that there was director error at the table (in ruling to allow play to continue). So what happens when the director errors? Here the ACBL considers both sides as non-offenders and gives both pairs the benefit of the doubt. Thus, the panel issued a two way score: N/S +420 and E/W +50. The decision was reported to both pairs with the statement that the decision was made because of director error. But wait, there’s more in our “believe it or not” story! Upon preparing the write up, the reviewer noticed that *IN FACT* it was N/S had been noted as the appealing pair! After further discussions with the table director, it was discovered that the final table ruling had been changed. It had been determined that there was a claim at the point at which the director was called. The table director had returned to the table to give the ruling that a claim had occurred and that E/W were awarded a diamond trick. This ruling resulted in score of +50 for E/W (4 Spades down one) that N/S had appealed. With these facts, the panel would have not ruled director error and would have upheld the ruling of 4 Spades down one for both pairs. Since this error (by the reviewer) was not discovered until a day later, the panel decided that there was now director error (in obtaining the correct facts). Therefore, the two-way score was allowed to stand. In summary, it never hurts to have a guardian angel over your shoulder! This appeal reminds us of those stories about the lucky person who gets a bona-fide traffic ticket thrown out of court due to an error in the documentation. The moral of the story? Even the directors can get tired in marathon events. At long last, BridgeHands has joined the so-called “Web 2.0” crowd. Actually, the Internet web itself hasn’t changed over the years. Yet in the last few years, the industry buzz has been new Internet applications that greatly enhance the usability of the web. Enter multimedia and blog applications. Multimedia integrates audio and video applications with web pages to enhance the user’s experience. Our BridgeHands home page now has two multimedia applications, found in the lower-left corner of the screen. By double-clicking on the play button of the BridgeHands Audio Intro widget, you can listen to an overview about our website through your computer speakers. Soon, we will be adding more audio channels about Bridge itself. And while we have some exciting ideas up our sleeve, we would like to hear your ideas on audio topics you would like to see added to BridgeHands. This brings us to our second widget. At the bottom of the home page, we have added a VoiceMail player. In addition to providing another method to sumbit your recorded message, you can actually leave us your own voice mail right through your computer’s microphone! That’s right, by clicking on “Record your message,” you can send us free voice mail right from your computer. Even better, if you would like to have us make your voicemail public so others can hear it, just let us know and we will add your recorded message to the list in the VoiceMail widget. We hope you are enjoying the BridgeHands website and eMag Newsletters. We always enjoy hearing from you regarding your comments or suggestions.